Korola, Bitter gourd...from the name it is very evident why this vegetable is not so welcomed to everyone, but I'm among those few who love Bitter gourd. 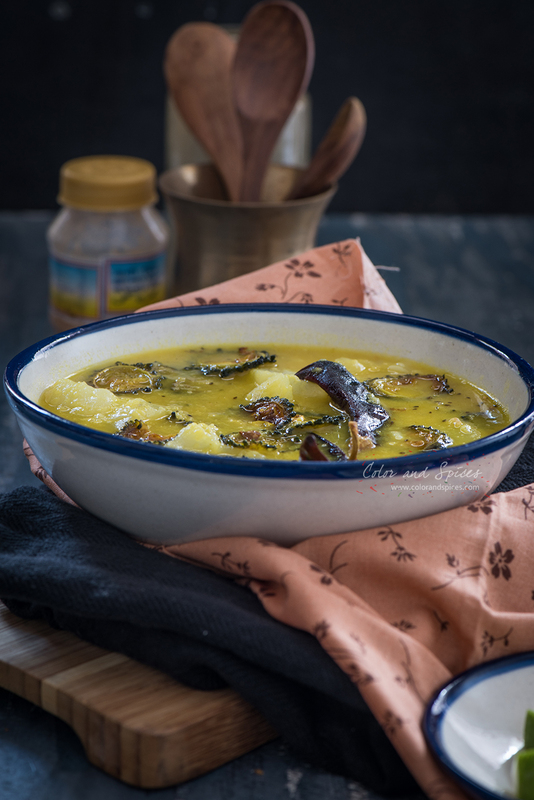 Boiled bitter gourd and potato mashed (Uchhe-alu bhate) together with salt and mustard oil, is my all time favourite. Or crispy fried bitter gourds(korola bhaja) with a dash of mustard sauce(kasundi)...mmm for me these are mouth watering. 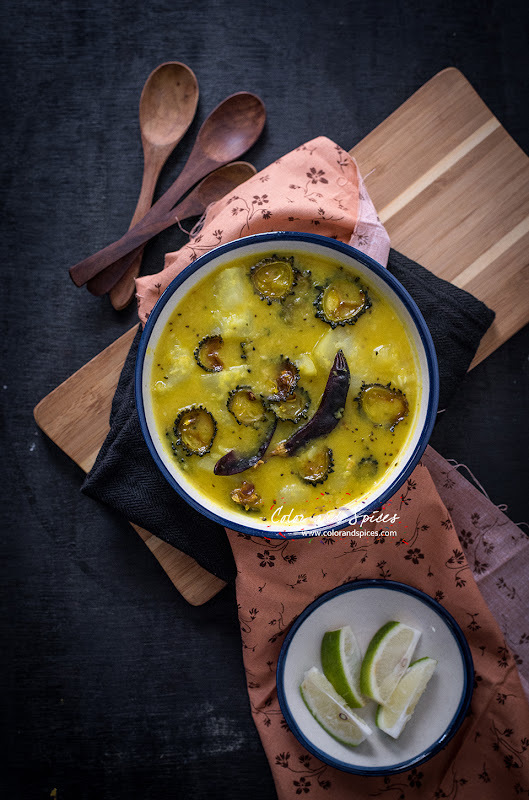 A typical bengali menu begins with something bitter, be it Sukto(Bitter-sweet vegetable curry) or simple fried or boiled bitter gourd. Other than bitter gourd there are several other hundreds of bitter vegetables/leafy greens, those are part of regular bengali diet. Today I made lentil soup with bitter gourd....Tetor dal. 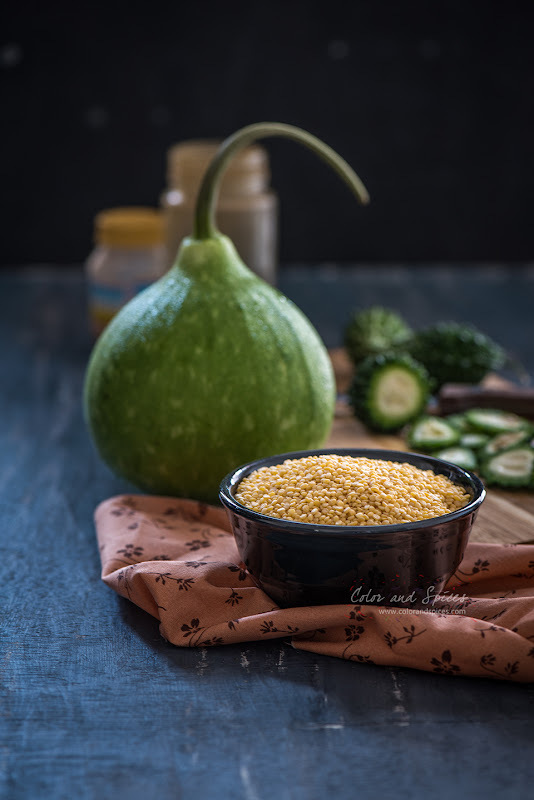 Yellow lentils(Moog dal) along with bitter gourd. 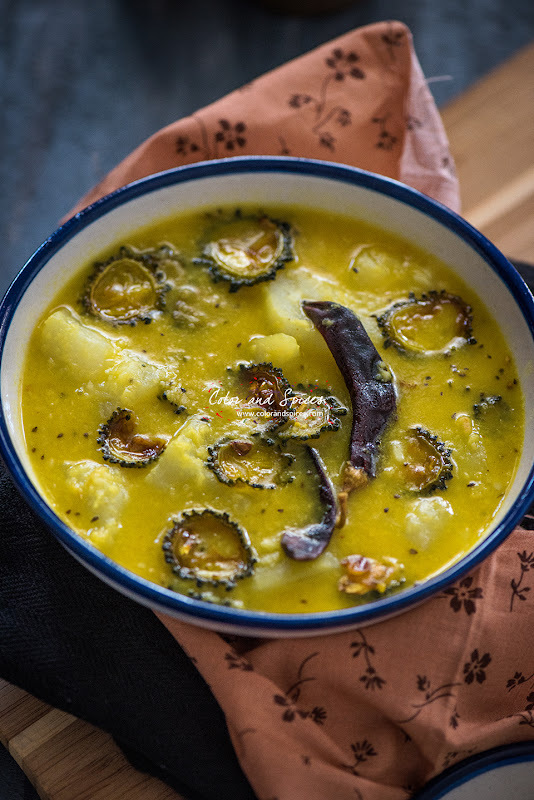 It also has bottle gourd(Lau), and as the bitterness blends with the soft bottle gourd and lentils, this dish does not taste that bitter, rather it has bitter-sweet medley. 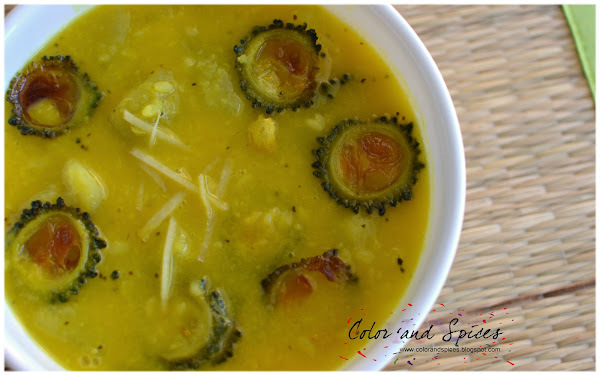 And another speciality of this lentil soup is the flavor of Randhuni/Indian celery seeds. 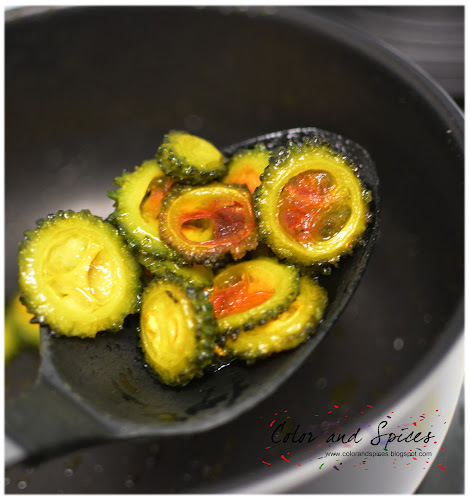 Randhuni is a very common spice found in Bengali kitchen, used widely for making Sukto to Fish curries. I'm updating this post with some recently click photographs. I know it's evident which were clicked six year back, the recipe is same though. 1. 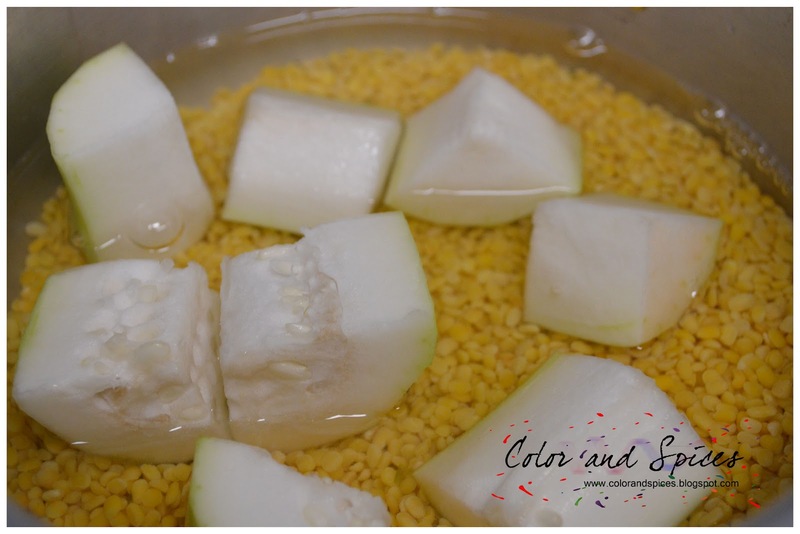 Soak the bitter gourd in water for 10-15min, then wash them well. Cut the bitter gourd into 1/2cm thick rounds. If the seeds are ripe and hard, discard the seeds. 2. 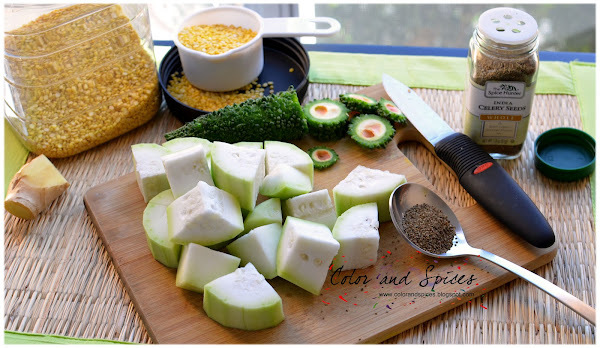 Peel and wash bottle gourd, and cut into large cubes 1and1/2 inch thickness. 3. 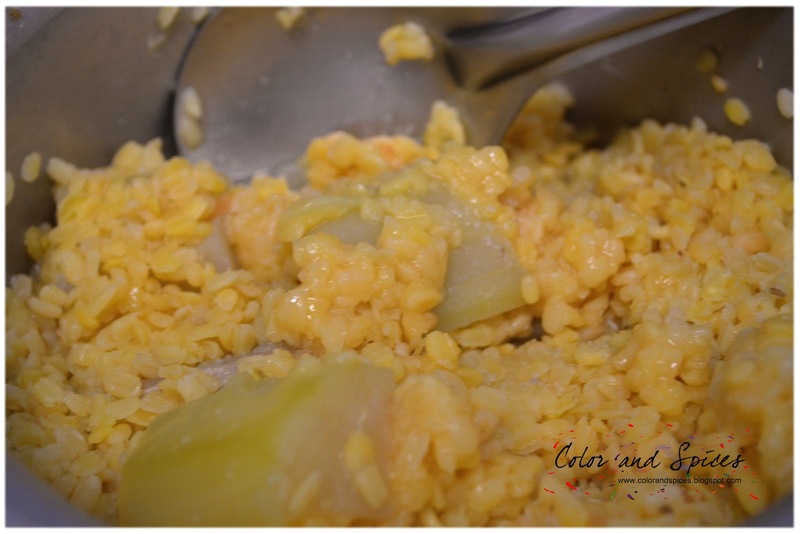 Wash the yellow lentil thoroughly, till the water runs clear. In a pressure cooker put the lentils and cubed bottle gourd and water. Cook on high heat till 2 whistles. Remove from heat. Wait till the pressure releases. 4. In a pan or kadai heat 2tbsp of oil and fry the bitter gourd pieces. Add salt and turmeric powder while frying. 5. 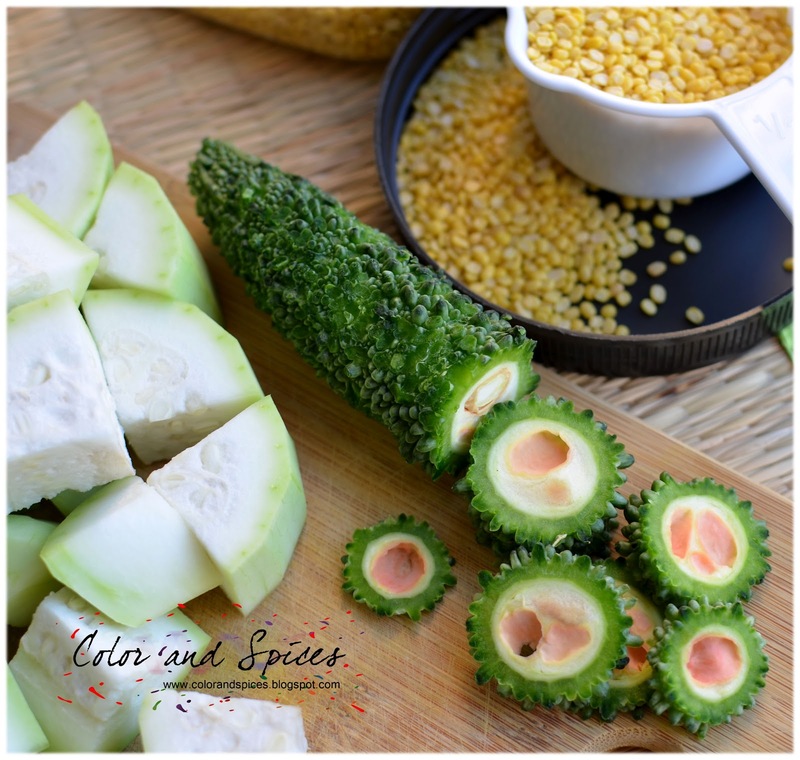 In the pan or kadai add 1tbsp oil, when the oil is hot reduce the heat and add celery seeds(Randhuni). 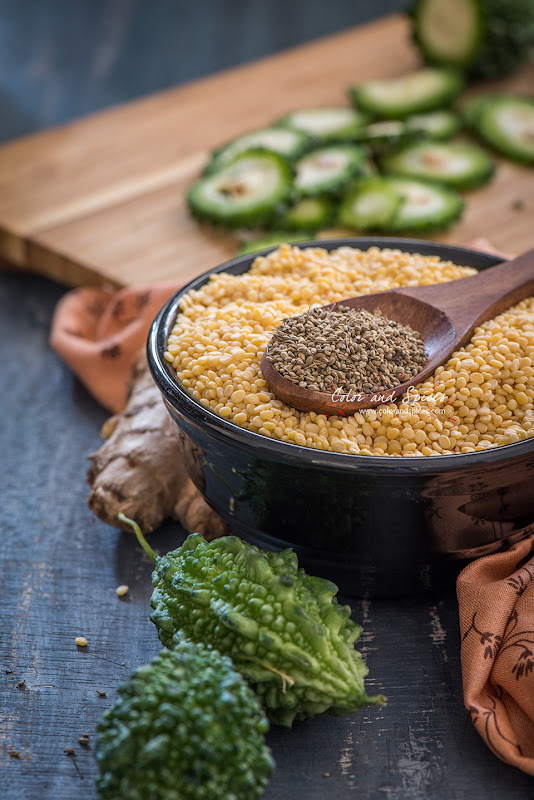 If you are staying outside India, and do not manage to get Randhuni in the stores, just look for this India Celery Seeds in any local grocery stores. 6. Add the grated ginger and cook for 1-2min. Add the boiled lentil and bottle gourd, turmeric powder and water. The amount of water depends on the thickness you want for the soup. Add the fried bitter gourd. As it boils, reduce the heat add green chilies, cover and cook for 10min. Add sugar. 7. Check the seasoning, adjust accordingly. Switch off the heat. Transfer to a serving bowl. Sprinkle the julienned ginger, immediately cover the bowl. Serve with steamed rice, along with some fried potato or egg plant or pumpkin..a delicious healthy lentil soup. 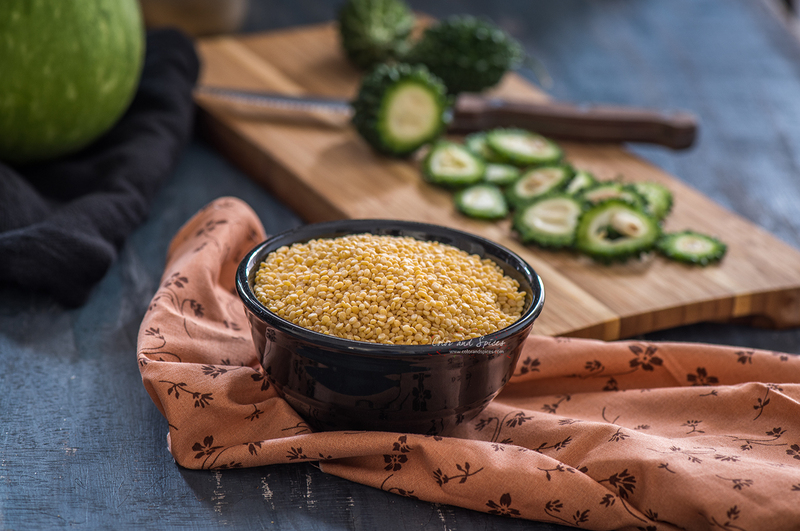 Any substitute for celery seeds?